The latest episode of the 2018 Frontstretch Podcast features the Frontstretch duo of Dustin Albino and Mike Neff discussing the positives and negatives of a crucial week in NASCAR this season. 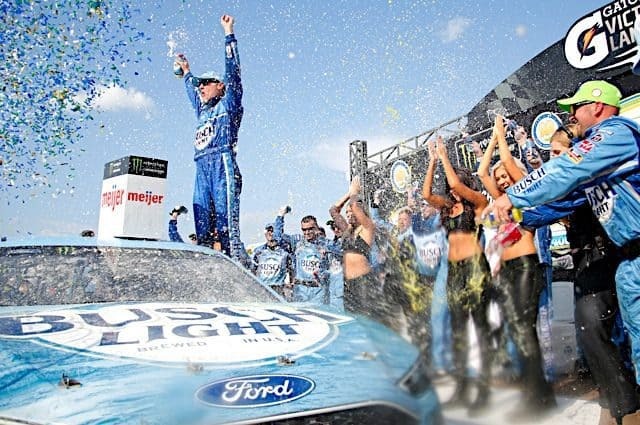 Kevin Harvick won his series-high seventh victory at Michigan International Speedway, though it was Austin Dillon that shined — recording his first top-five finish since winning the Daytona 500. 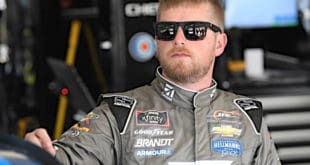 The pair also discusses the NASCAR XFINITY Series race at Mid-Ohio Sports Car Course, where Justin Allgaier spun and won. 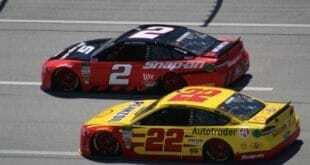 However, it was his JR Motorsports teammate Elliott Sadler that made headlines this week, announcing his retirement from full-time competition at the end of 2018. We predict who we think will grab that ride. Finally, we discuss Silly Season and where we anticipate drivers going. 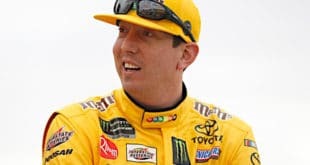 Over the past week, there have been rumblings of two seats opening up at JTG Daugherty Racing, and Kurt Busch is likely heading to Chip Ganassi Racing to replace Jamie McMurray. Next 2-Headed Monster: Should Kurt Busch Move to Chip Ganassi Racing?